What would happen if the entire world came together to combat cancer? 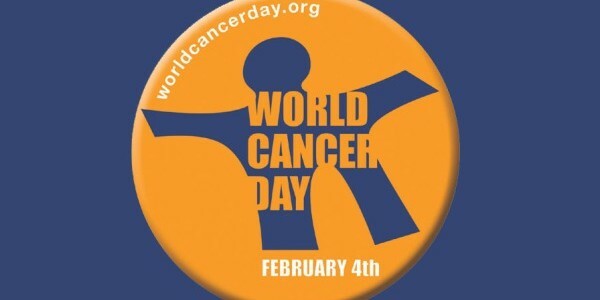 Well, this is exactly what will happen on February 4th as we celebrate World Cancer Day. This is a very special day when individuals and organizations from around the world get the chance to send a very important message: It is time to make ending cancer a global health priority! Every year on this date, World Cancer Day is celebrated in order to help raise further awareness for cancer and to help encourage better prevention, detection, and treatment practices. This global health awareness day has been organized year after year by the Union for International Cancer Control, a worldwide consortium of more than 470 organizations who are committed to battling cancer in over 120 different countries. Currently, World Cancer Day is the only initiative under which the entire planet has been able to unite in our ongoing fight against global cancer rates. As previously stated, this event is observed every year on the 4th of February in the hopes that its message can reach more of the public through global communications. Another ongoing task for this initiative is to try and encourage more UICC member organizations and policy makers to make cancer a political priority. By holding World Cancer Day every year, the goal is to help raise awareness and education levels for cancer, and in doing so hopefully save millions of people from a death that can be prevented. As the popularity for this event has grown, it has also influenced governments around the globe to take action against these deadly diseases. This day also provides an indispensable opportunity for anyone who has been affected by cancer to work collaboratively in order to ensure that our world leaders adhere to the promises that they have made in prior UN Summits. This year, one of the biggest events for World Cancer Day will be taking place in New York. In what has become a celebrated tradition, the Empire State Building will be lit up in orange and blue all day and night for the third year in a row. Blue and orange are the representative colors for the Union for International Cancer Control (UICC), the organizers of World Cancer Day. 1. Cancer is a concern for the elderly, wealthy, or more developed countries…..False. Truth: Cancer is actually a global issue, which can affect people of all ages and socio-economic groups. 2. Cancer is only a health-related issue…..False. Truth: Cancer actually has widespread economic, social, developmental, and human rights implications. 3. A diagnosis of cancer means death…..False. Truth: Many of the cancers that were once considered to be a death sentence can now be cured, and many other cancers can be treated much more effectively. 4. Most people will fall prey to cancer at some point…..False. Truth: By making the appropriate adjustments, a third of the most common cancers can be prevented. This February 4th, communities all around the globe will be holding seminars, film screenings, public information campaigns, and other events to help raise awareness and educate the public on how to combat cancer via regular screening and early detection, smoking cessation, living a healthier lifestyle, and by encouraging public officials to focus more on cancer related issues . a place to learn, interact and find inspiration. is a place to learn, interact and find inspiration. Have something you'd like to share on our blog? Stay in touch with the latest news and developments.